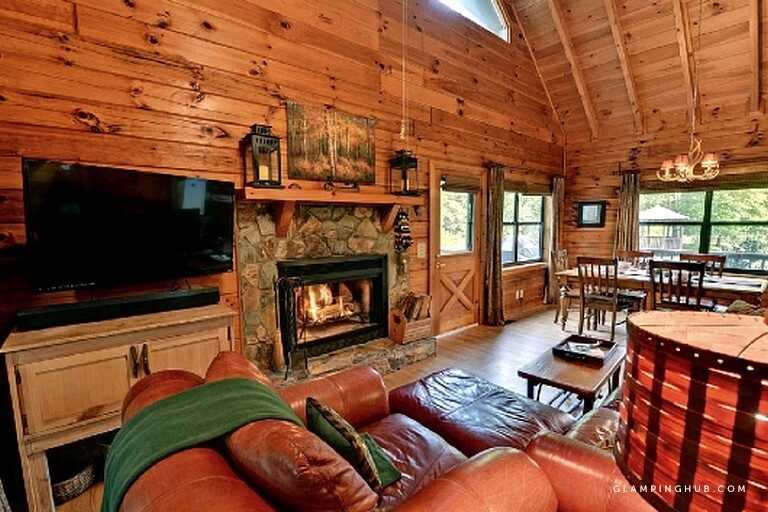 This luxurious log cabin rental can be found in the heart of the Rich Mountain Wilderness in Cherry Log, Georgia. 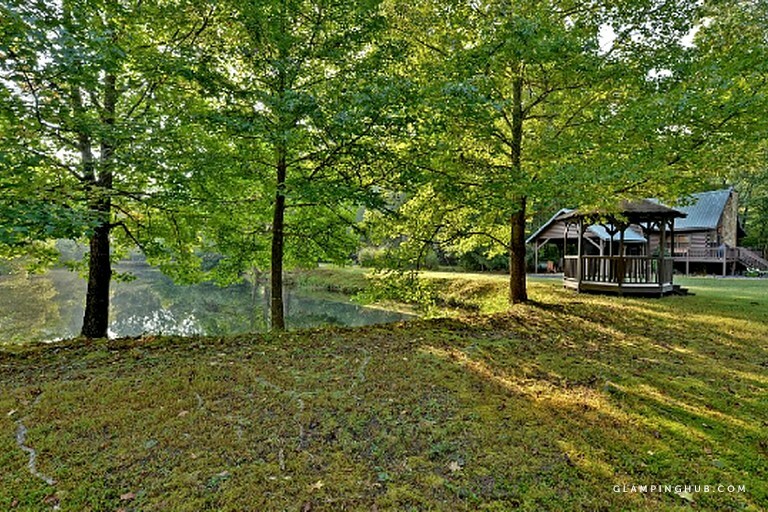 Perfect for those who love to fish, this log cabin sits right on large, peaceful pond where guests can fish for bass right from the property. 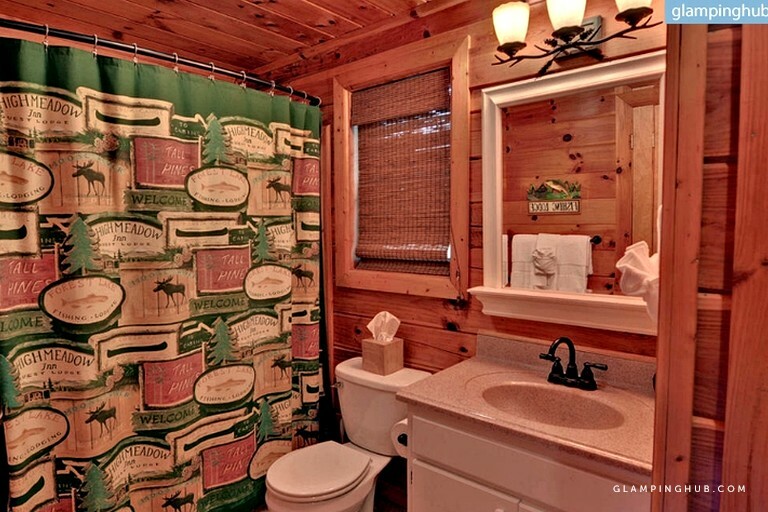 With the ability to accommodate up to six guests comfortably, this log cabin boasts three stately bedrooms and two full bathrooms. 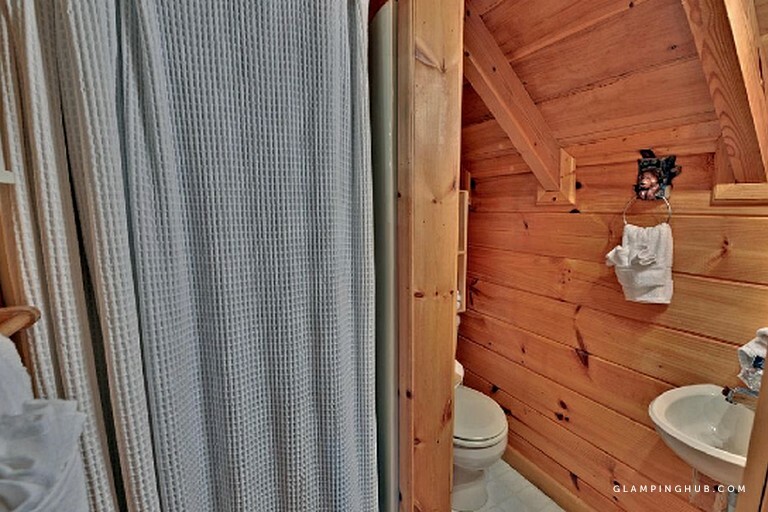 The master bedroom features a king-size bed with an ensuite bathroom containing a bathtub/shower combination, while the second bedroom is fitted with an additional king-size bed. 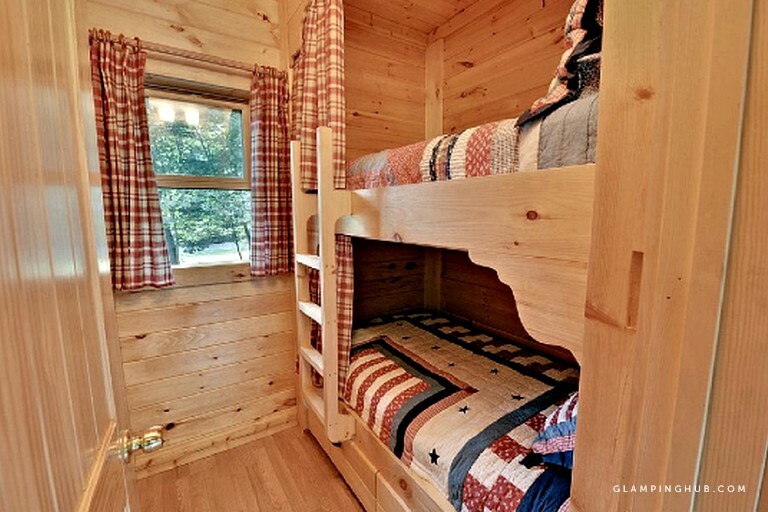 The third and final bedroom contains a twin-size bunk bed set. 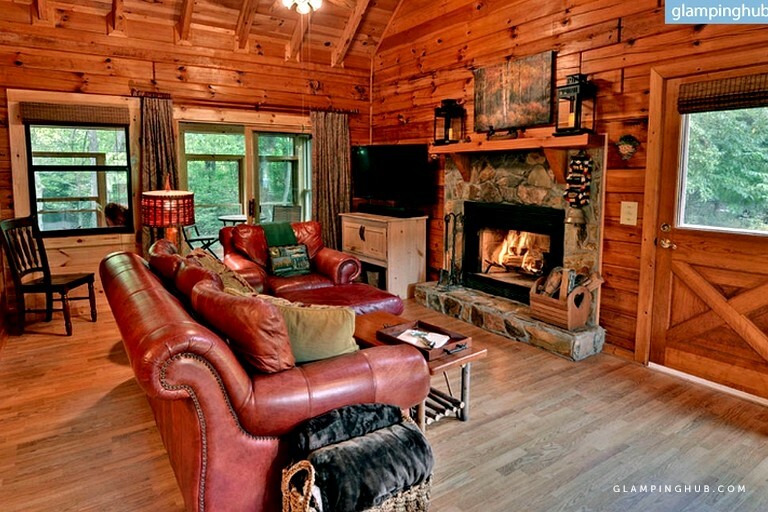 After a full day fishing along the pond, guests will appreciate returning to the impressive living room, which features stately lounge furniture, a fireplace, and flat-screen television, making it the perfect spot for a cozy afternoon nap. 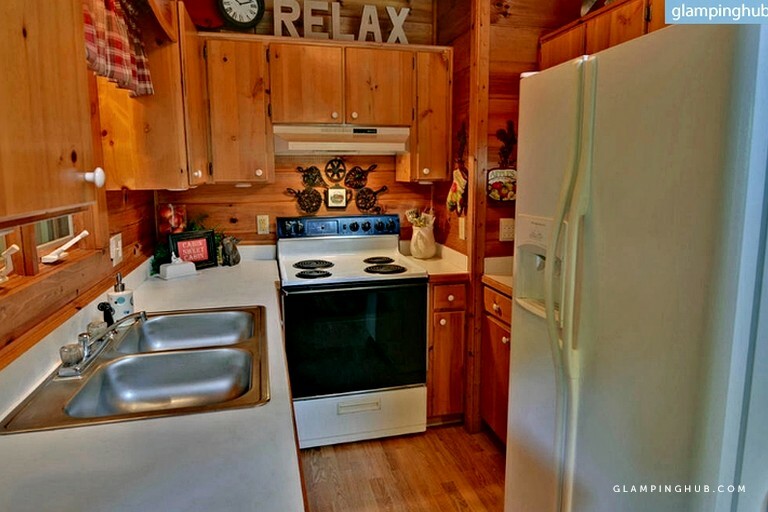 Those who love to cook will enjoy preparing meals in the modern, fully-equipped kitchen, which is appointed with appliances such as an oven, stove, microwave, refrigerator, dishwasher, toaster, blender, and a coffeemaker, along with essential cookware, dishes, and cutlery. 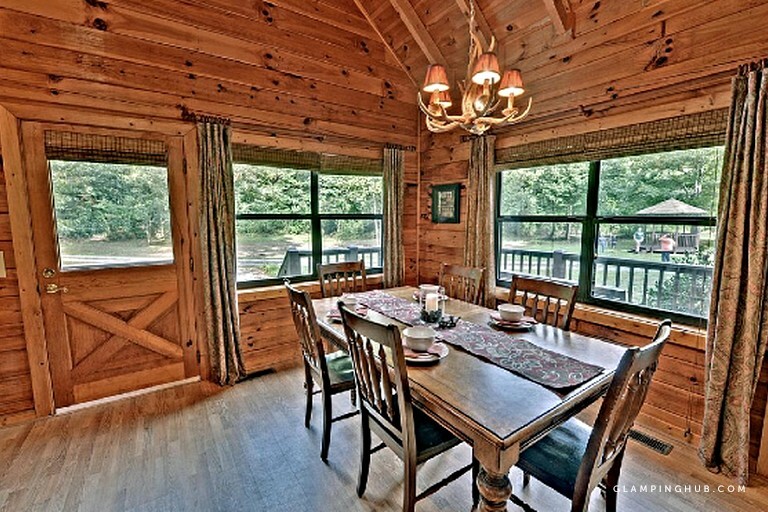 Meals can be shared around the six-person dining table found adjacent to the living area. 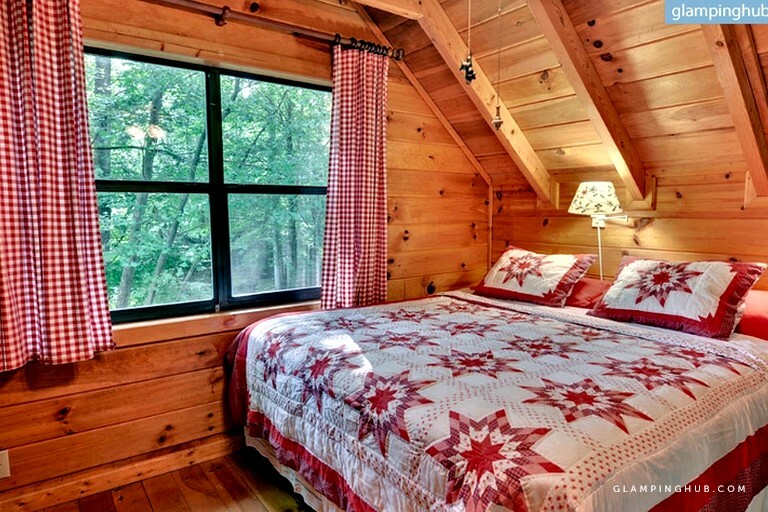 This cabin features everything and more that glampers are looking for during their stay in the mountains of North Georgia. 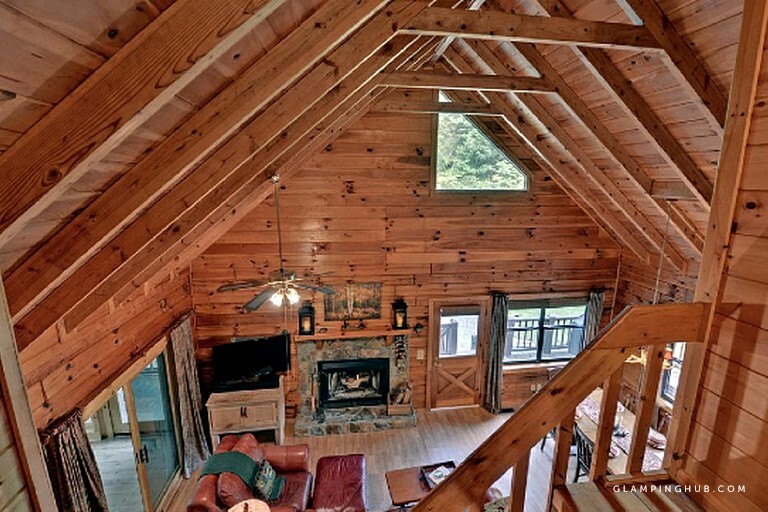 With luxurious amenities such as central air-conditioning, heating, Wi-Fi, satellite television programming and board games, guests will feel comfortable and entertained throughout their stay. 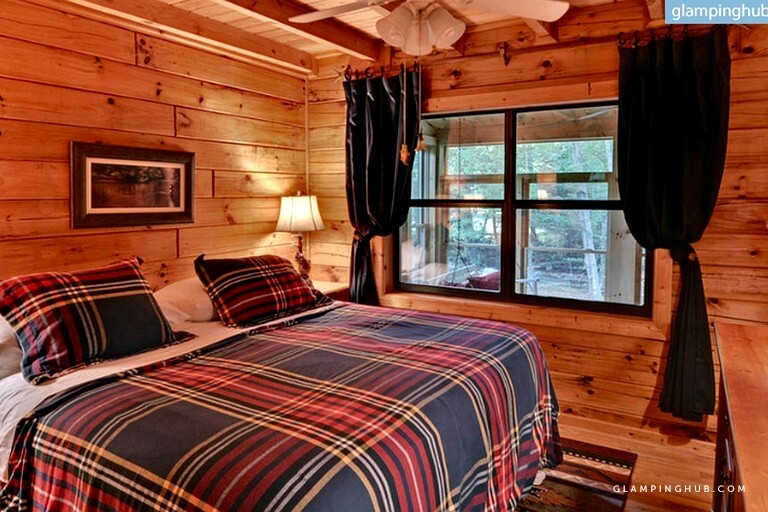 Bed linens and bath towels are provided, as well as the use of a washing machine, clothes dryer, iron, and a hairdryer. 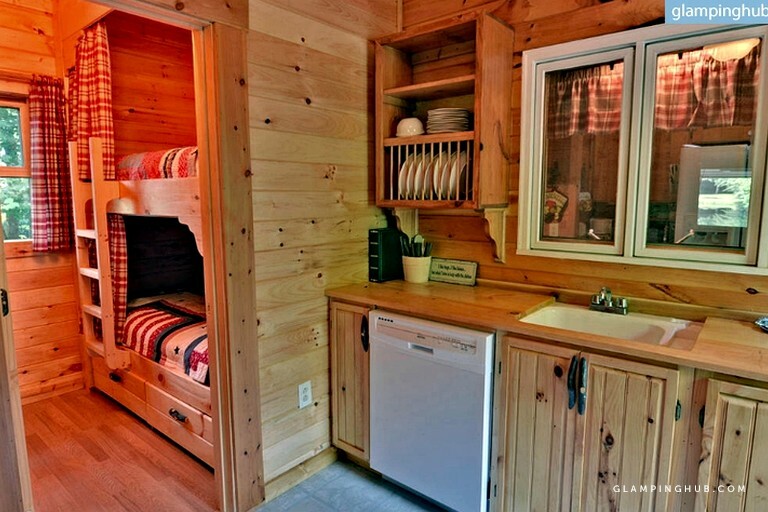 Guests can easily prepare meals for themselves in the fully-equipped kitchen found indoors. 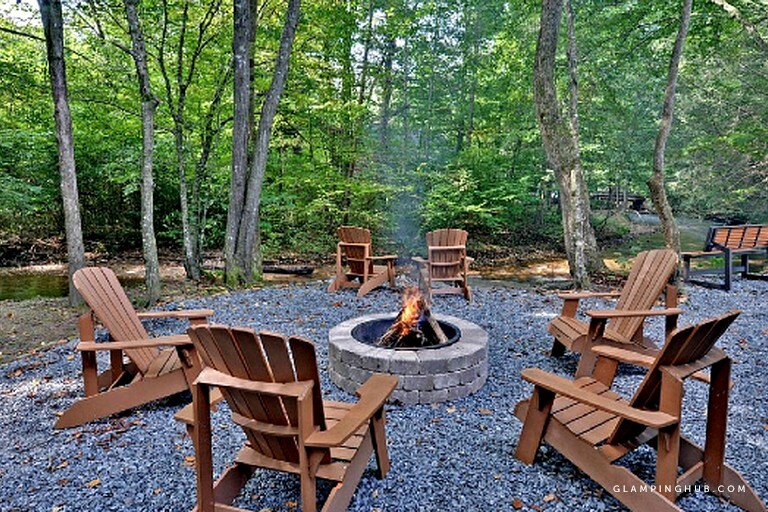 Outside, guests can enjoy the use of a fire pit that overlooks the pond, making it the perfect spot to spend the evening under the twinkling Georgia sky. 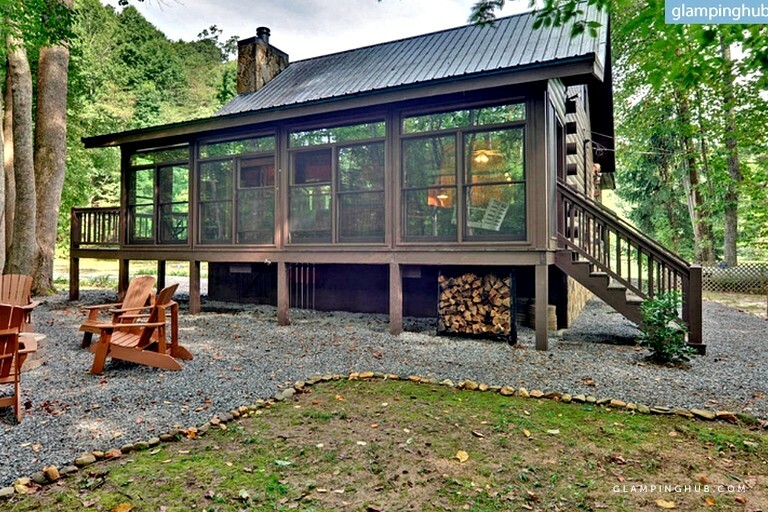 Glampers from all over choose to spend their unforgettable outdoor vacations in this region of Georgia due to the amazing access to endless forests, infinite trails, and huge mountain lakes. 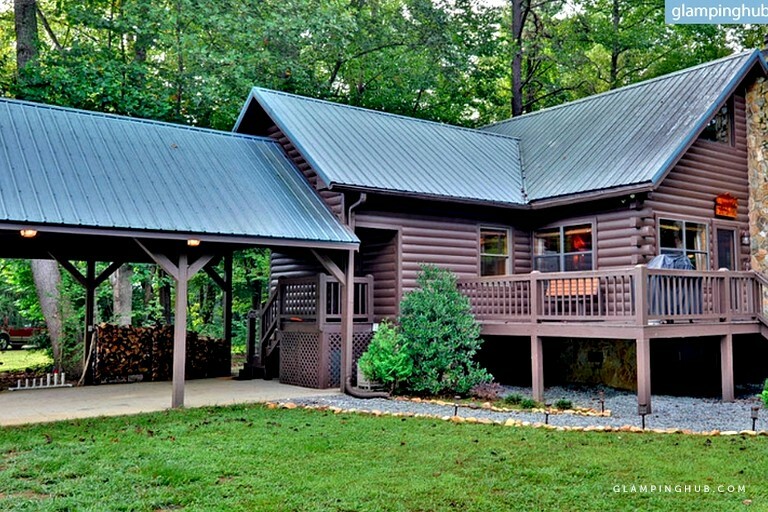 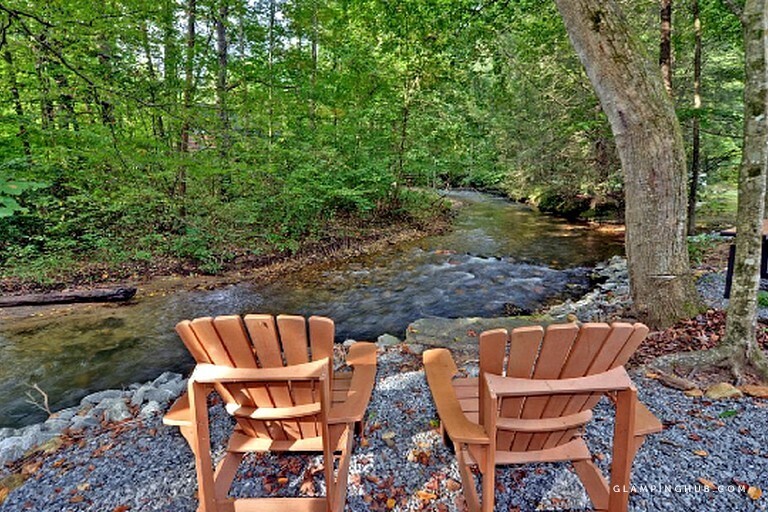 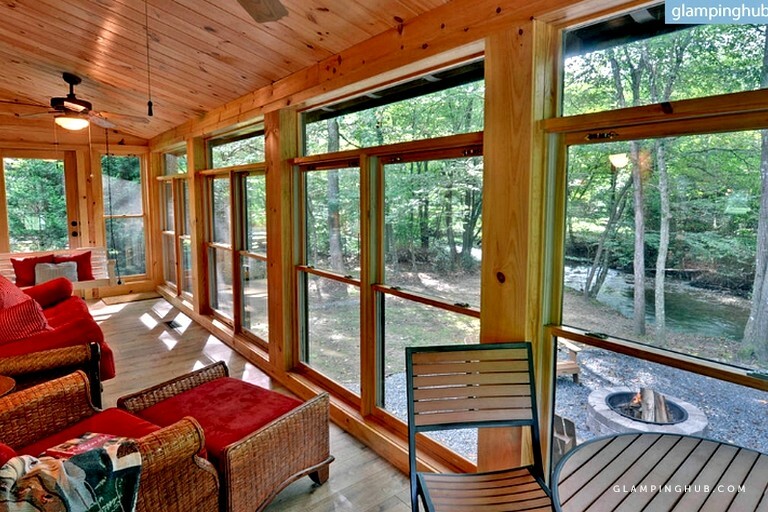 The cabin is in the Chattahoochee National Forest so spending time with nature is as easy as can be. 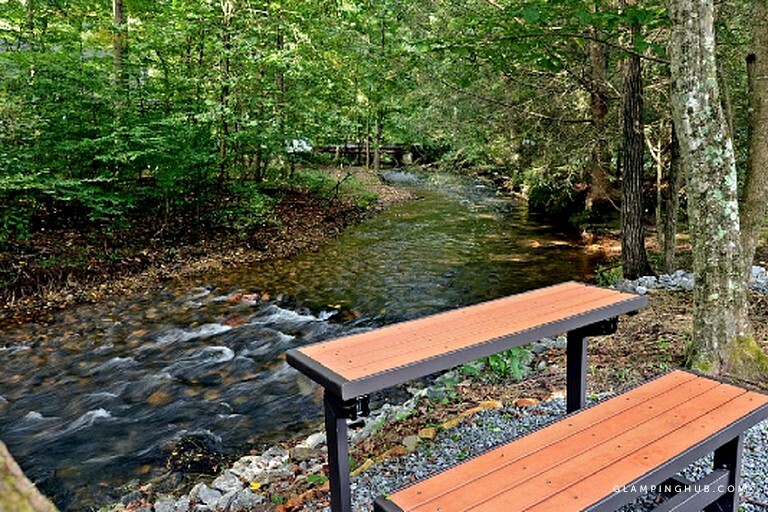 Guests can access terrific trails just nearby the property, so those who love to go hiking, mountain biking, fishing, or horseback riding can spend most of their time outdoors. 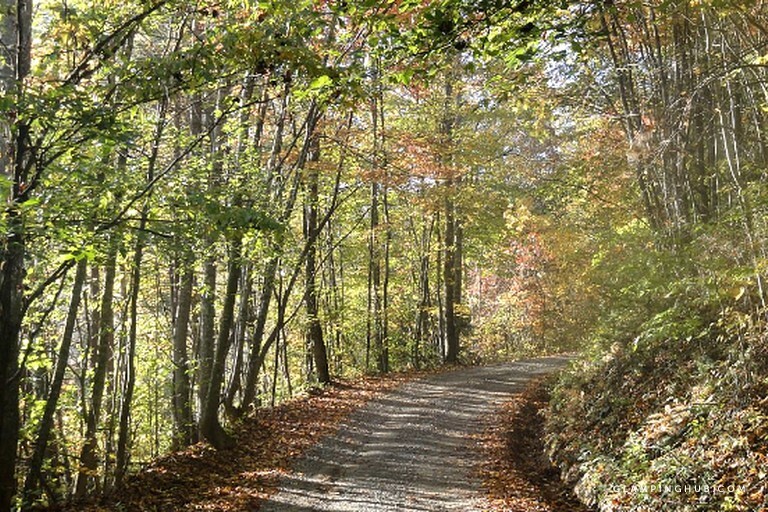 Photographers, birdwatchers, and wildlife enthusiasts will be able to find what they are looking for during their stay, whether that be a breathtaking snapshot of the changing trees or a rare, wild animal species native to the area. 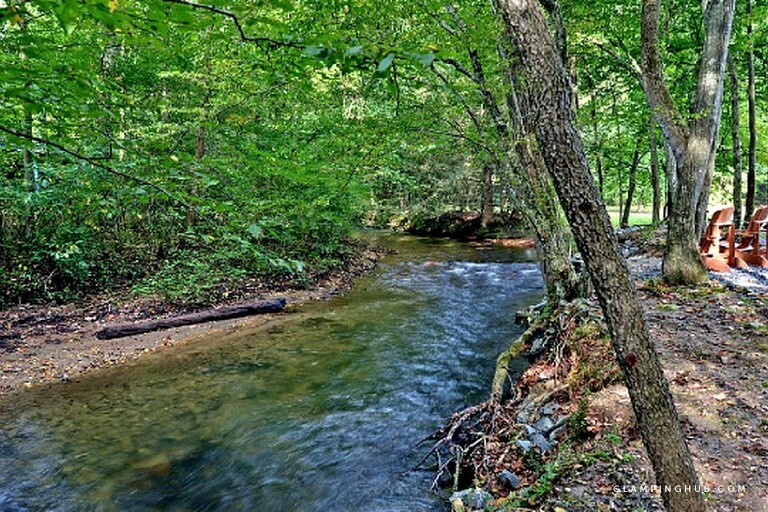 The property itself is situated on the shores of a pond and along Fightingtown Creek, so pastimes such as bass fishing can be done just steps away from the front door. 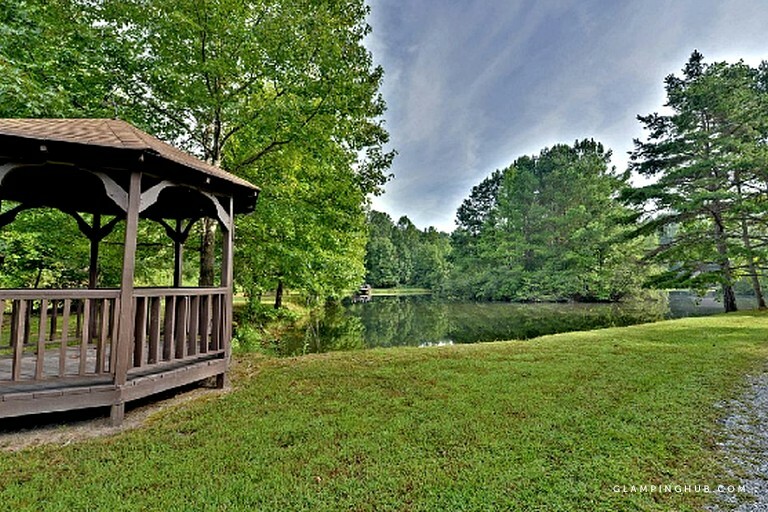 Blue Ridge Lake is larger and more suitable for activities like swimming, kayaking, canoeing, and boating, and can be found just 30 minutes from the property.